Harmful nematodes invade plant roots and cause disease. Beneficial nematodes help control harmful nematodes and other insects that destroy plants. Bleach is used to disinfect garden tools and equipment when harmful nematodes are a problem. Using bleach in the garden, however, may also burn plant leaves and pollute the atmosphere with harmful chemicals. There are several other ways to control harmful nematode outbreaks. Nematodes are nonsegmented invertebrate roundworms that are typically 1/500 of an inch in diameter and 1/20 of an inch in length. They live in salt and fresh water and in the soil. “Four out of every five multi-cellular animals on the planet are nematodes,” according to the University of California at Davis. The vast majority of nematodes are not parasitic but serve a necessary function in the life of soil. Root-knot, lesion and citrus nematodes are among the most harmful to crops. The root-knot nematode does more crop damage worldwide than any other genus. Some nematodes are parasitic to more than 2,000 plant species. Plant parasitic nematode eradication in agricultural settings has traditionally been accomplished with methyl bromide.The University of Florida recommends using one part bleach to five parts water as a disinfectant for bins, benches, equipment and containers to reduce possible nematode contamination. Methyl bromide is the major soil fumigant used worldwide for eradication of root-knot nematodes. Due to its role in ozone depletion, an international agreement has been reached to phase out its use. Nonchemical methods and strategies are under experiment. Bleach has been used to kill soil nematodes but is not recommended by plant experts because it destroys beneficial nematodes and insect populations. The University of Missouri Extension report on managing harmful nematodes in the garden recommends crop rotation, winter tilling to allow the soil to freeze, adding organic matter such as compost and soil solarization. Both heat and extreme cold kill unwanted harmful nematodes. “Chemical nematicides are highly toxic and unsuitable for home garden use,” the report goes on to say. 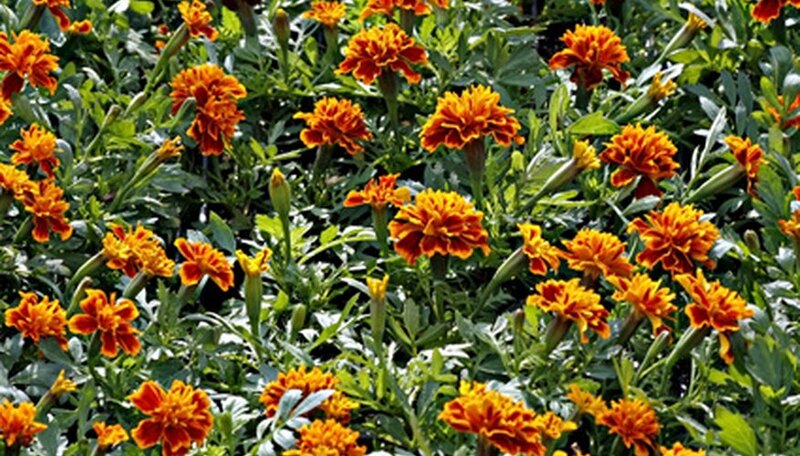 French marigolds exude a chemical that helps control harmful nematodes. There are up to 100 nematodes in a typical teaspoon of garden soil. The majority of nematodes function in the soil food web as nutrient recyclers. The nutritional content of vegetables and fruit is created by nematodes and other living organisms in the soil. They ingest raw organic materials and exude nutrients that are absorbed by vegetable and fruit roots.